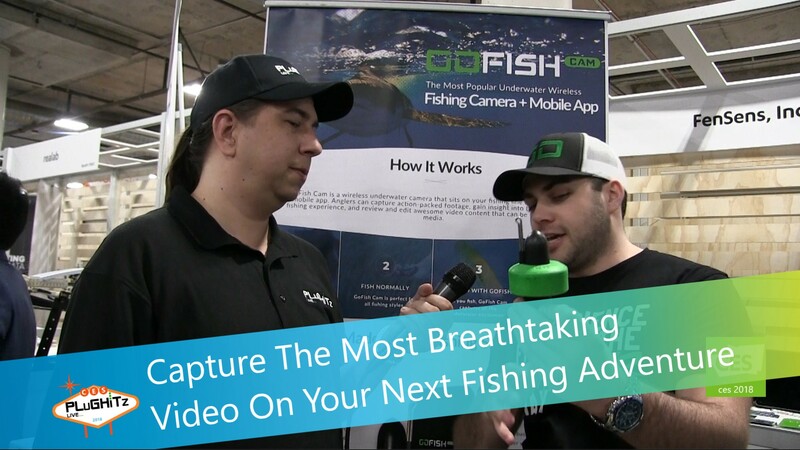 Take your fishing activities to the next level with the GoFish Cam! This is no ordinary underwater camera, it's a versatile 1080pHD camera that goes where your fishing goes unlike any other fishing camera. The GoFish Cam simply attaches to any fishing line and captures the underwater experience that you need to see. The camera is made with a strong metal leader line that helps you catch large game fish. But wait, there's more. The GoFish Cam has a built-in hotspot that can connect to your phone through the GoFish Cam app. This application has so many possibilities for the sport of fishing that start with a creation of a profile and the activation of your new GoFish Cam. From the app, you can adjust the camera settings and the video quality, view the battery life, and refer back to previous fishing trips that were recorded. From there, you have the ability to edit and share out your footage to your friends! Pick up your GoFish Cam today for $239.99 by going to the GoFish Cam website.